To know ourselves, who we are, and where we are going, we must delve into our past, where we came from and the people who preceded us and how they strove to overcome the obstacles in the pursuit of happiness for themselves and their descendants. In my own search I was fortunate, inheriting, quite by chance, some vital, rare, original and authentic documents from my Aunt Betty. These give us a most illuminating picture not only of my own family but also of Indian indentured life at a crucial period in the history of South Africafrom 1860. On the surface, it seemed to be another composition of inherited history, but They came from India tells the captivating, yet objective record of the considerable achievements of a remarkable Indian family and their quest for social justice in Natal, South Africa. Serendipity leads to a discovery of priceless and certainly unusual material, in a family flat inLondon and this becomes the backbone for the recording of a truly special family document. This heart warming and pictorial narrative delves deep into the twisting and turning historical journey of the Indentured Indians and illustrates the massive contribution that my family made to the cultural and spiritual advancement for all Indians, in the much needed areas of sport, education, politics and business liberation. Despite deplorable obstacles of bureaucratic inhumanity these amazing people, although small in number, managed not only to survive but fervently resist tyranny and the new form of slavery and oppression thrust upon them. “The Brothers” instinctively learnt to understand the conditions of the underprivileged both black and Indians. They become founders of the first organised cricket and football associations and the early pioneers of education and religious upliftment – the ultimate renunciation to white tyranny. It is a factual, truthful record and very much a privileged insight into the unsung heroes of The Struggle who deserve the honour of recognition for their invaluable spirit in turning a distant dream of equality and freedom into a reality. It’s not just a formal record of history but rather a very real, warm and thought provoking rendition of the indentured, dotted with personal memories and enriching facts and photographs. Along with valuable and primary documents, I shed light on this exceptionally imperative and never before explored branch of South African history in his celebration of champions almost expunged from the history books altogether! It gratefully and brilliantly illuminates the struggles and sacrifices that the indentured made in the crusade for unity that transcends race and creed. The fact that the book is so brutally frank and original ensure it is undeniably one of the most readable accounts of a part of South African history which until now, has suffered neglect. The great Gandhi, who met and stayed with my family, took issue with the championship of democratic unity for the African-Indians and it throws doubt on the accuracy of his early political quest. It’s a massive task to expose a perceived ‘immaculate’ icon and explode some myths by going against the grain of public opinion but the book is factually incontrovertible and few will be able to mount a challenge to this zealous and well researched assessment. No matter where in the world South African Indians are, I believe they feel a lifelong connectedness to Africaand the epic history of the Indian Freedom Struggle in this land. Forefathers who played an extraordinary role in the liberation movement and moral revulsion for racism for the eventual destruction of apartheid and the shaping of a now multicultural and democratic South Africa. These passionate pioneers and their venture are now forever immortalised and sincerely remembered thanks to my compelling book, They Came From India: The Narrandes Family. 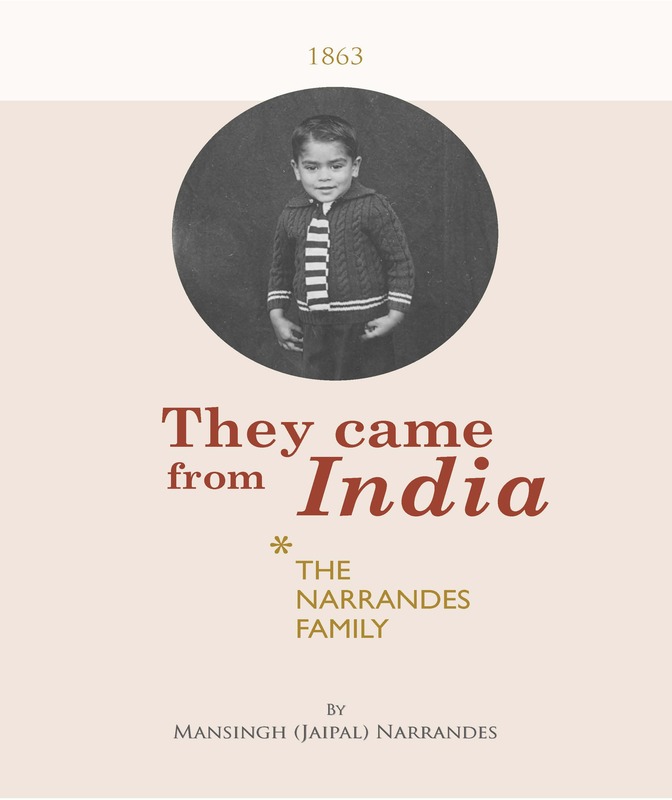 Mansingh Narrandes is a Dudden Hill resident and the author of the book They Came From India. The book uses evidence from his family history and places this into a wider historical context. Mansingh and his wife were born in South Africa and are now British citizens but they remain deeply attached to their original roots –India, the ancient land of their ancestors and South Africa to whose economic development and political liberation they contributed so magnificently. He pulls no punches. Many will disagree with his indictment of some of the youthful political foibles and blunders of the great Mahatma Gandhi’s lively, indeed turbulent period in South Africa, but few will be able to mount a challenge to Narrandes’ scrupulously honest and brilliantly researched assessment. Posted on July 3, 2012 July 3, 2012 by Cllr Krupesh HiraniPosted in Dudden Hill, GeneralTagged Apartheid, Gandhi, Mahatma Gandhi, Mahatma Gandhi South Africa, Mansingh Narrandes, South Africa, They came from India.